The financial services sector, led until recently by traditional banks, is undergoing a period of unprecedented change and disruption. Technology, as well as consumer demand for innovative services, are driving fintech startups, while regulators are proactively participating to create a level playing field. One such move is the introduction of the revised Payment Services Directive (PSD2), which came into effect in January 2018 and recognises new and emerging payment providers by creating a secure and competitive environment in which they can compete with the industry behemoths. According to the 2018 World Payments Report, an executive survey by Capgemini and BNP Paribas, 21.4% of respondents indicated complete PSD2 compliance, while 18% are in an implementation stage. 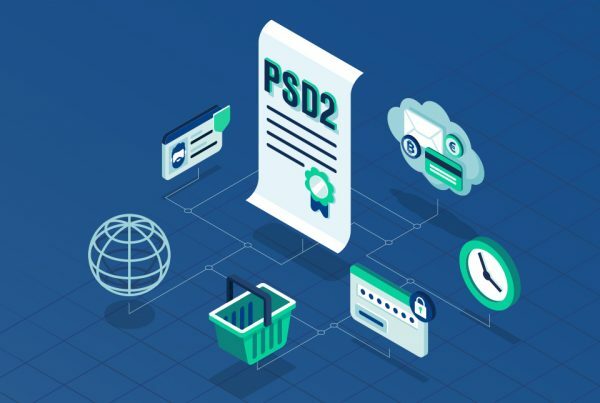 PSD2 has extended the scope of payment providers by enabling new companies to participate, improving transparency of payment fees and curbing transaction costs. The focus of PSD2 on open banking and application programming interfaces (APIs) is ultimately driving innovation for the benefit of consumers. It allows third-party providers (TPPs) – upon customer approval – to access their bank account data and offer value-added payment services, which in turn will accelerate industry disruption. New interaction models now meet customer demands for real-time, customised and seamless payment experiences. PSD2 requires banks to open their payment infrastructure and customer data to TPPs, thus taking away their privilege over direct customer engagement. The subsequent shift in competition manifests itself with the growing presence of fintechs, technology firms, retailers and telecommunications providers in the payment ecosystem. Incumbents are evolving with new business models, innovations and collaborations to sustain relevance. For example, UniCredit (Italy) launched Buddybank, a mobile-only ‘conversational banking’ model, with claims that 75% of its customers are new to the group. UniCredit plans to use customer feedback and information to improve other parts of the business. Similarly, credit card companies Visa and Mastercard are actively seeking collaborations to develop new services and identify other revenue sources. Fire (Ireland) is a Payment Initiation Service Provider (PISP) that provides business and personal customers with digital accounts and debit cards and enables users to easily pay funds directly to another person or business in the Eurozone or UK without sharing any account or card details. For instance, utility billers can add a ‘pay from your account’ link to emails, enabling people to click and pay from their accounts without using a card. Catalyst to change – PSD2 encourages open banking, which in turn impacts business models and service innovation. Customer experience can be enhanced across the payment value chain with multiple payment initiation options, apps to integrate and monitor financial information, geo-location-based coupons, instant and P2P payments. Ulster Bank announced Ireland’s first banking open API for seamless and secure linking of customer accounts to TPPs. 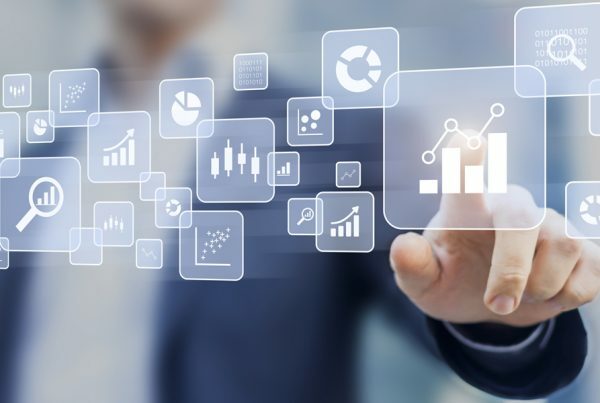 Impact across stakeholders – Lower entry barriers enable PISPs, PSPs and account information service providers (AISPs) to enhance their services based on their ability to harness customer data and integrate it into other networks and apps. The impact of Google and Amazon will be compounded with innovation and demand evolution. According to the 2018 World Payments Report, e-wallets and payment apps offered by large tech firms contributed 71% of non-cash transactions globally during 2016. Pace of innovation – Beyond viewing PSD2 as a compliance requirement, or adopting a ‘wait and watch’ approach, many companies identify it as a stimulator for competition. Investments in start-ups focus on collaboration and phenomenal growth of some of the start-ups in the payments industry are a testimony to the immense potential. Stripe, a San Francisco-based digital payments platform, plans to capitalise on open banking by offering its infrastructure to any new or emerging fintechs looking to enter the sector without the hassle of being regulated. APIs are effective, standardised and easy-to-use interfaces. TPPs offer their core capabilities via APIs and benefit from access to data to further improve solutions. Companies that integrate APIs benefit from easy implementation, testing and lower innovation cost. N26 (Germany) is a mobile-only, pan-European bank that provides consumers with a single digital platform for all banking needs. It integrates APIs from many partners and customers can access new services without any fees. APIs help to scale and add value as well as fit well in companies’ compliance and strategic plans. With game-changing technologies and business models, the linear model of the payments industry that customers and banks once operated in has ceased to exist. Today, the industry is a complex web with multiple industry participants, many associated and complementary services, and a focus on creating a seamless and personalised payments experience for the user. 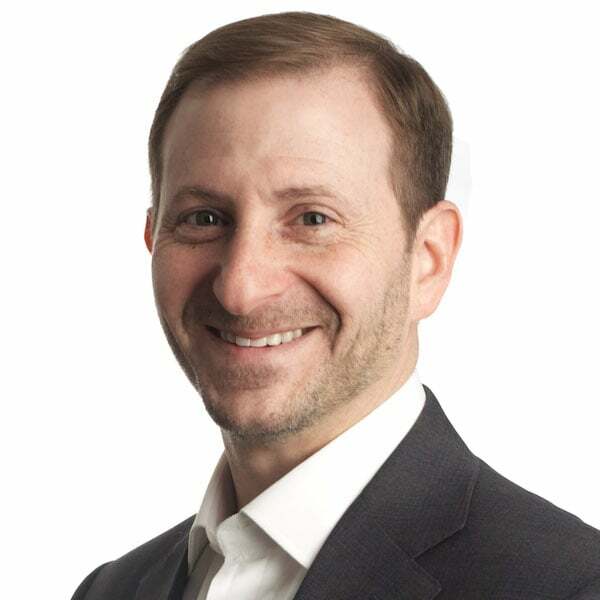 Building platforms that adhere to European regulations gave fintech company Worldnet Payments an edge in the US frictionless payment and EMV (Europay, MasterCard, Visa) marketplace, one that is set to flourish over the coming months. Europe is reasonably advanced in terms of flexible payment options compared with the US, yet this is set to change in the near future, with EMV, or “chip and pin”, payments becoming commonplace, and newer technologies gaining traction. “Unfortunately for us, at the time, Visa made a decision that all mobile transactions in Europe must be EMV compliant – chip and pin enabled,” explains Will. One of the ways in which Worldnet Payments is leading the way is in ‘intelligent retail’ and frictionless payments. “The space where we’re gaining most traction, in terms of disrupting the marketplace, is in intelligent retail, frictionless payments, or the uberisation of payments in the retail sector,” says Will. “They call it “uberisation” because one of the major attractions of the Uber taxi experience is that at the end of the journey, you just get out of the car, with no interaction, knowing the transaction has been paid securely. Worldnet Payments provides the secure platform that enables these frictionless payments for their partners, who are developing products for companies like Apple, Macy’s and Estée Lauder. With US consumers catching up quickly with their European neighbours in terms of flexible payment options, this market is set to expand rapidly over the coming months and years – and with Worldnet Payments at the forefront of this technology in the marketplace, expect to hear a lot more about this company in the near future. Irish innovation is helping to reinvent payments around the world – here’s how. The global payments industry is undergoing unprecedented transformation, driven by the twin engines of growing adoption of technology and changing consumer expectations. Without doubt, the race is now on to launch innovative new payment products, services and business models. As Paytech: Reinventing Transactions, a new eBook commissioned by Enterprise Ireland, demonstrates, traditional enterprises are being increasingly disrupted, as technology-enabled businesses carve out a completely different payments ecosystem. The result is a proliferation of new opportunities, as banks, long the cornerstone of the payments sector, are both challenged by – and themselves embrace – new digital payment options. It’s an opportunity that is gathering pace. The 2018 World Payments Report predicts a continuous increase in the volume of global non-cash transactions at a rate of 12.7% between 2016 and 2021. But payments of all sorts are increasing. According to consulting firm McKinsey, global payment revenues grew 11% in 2017, to US $1.9 trillion, the highest rate of growth in five years. It even suggests the US $3 trillion payments threshold could be passed within just five years. Ireland is perfectly positioned to play a driving role in this transformation. The country is already an internationally acknowledged global fintech hub. The expertise it has developed is quickly enabling it to become a global paytech centre. With a strong cluster of multinational and Irish-owned payments companies, Ireland is playing a driving role in the transformation of the global payments industry. World leaders in payments such as Elavon, First Data, Mastercard, Paypal and Citi all have substantial R&D and payment processing operations in Ireland. Stripe, the rapidly growing high profile global payments platform founded by two Irish brothers, John and Patrick Collison, plans to substantially grow its engineering operations from Ireland. Irish paytech companies already have a strong track record of facilitating all kinds of payments, in all corners of the globe. These include Realex Payments, founded by Irish entrepreneur Colm Lyon in the early noughties to provide the technology that allows online companies to accept payments from customers. In 2015, it was acquired by US giant Global Payments in a deal worth €115 million. By that stage, the company was already processing almost €30 billion worth of transactions a year on behalf of its 12,500 clients around the world. Lyon’s latest venture is business and consumer payments company Fire Financial Services. It helps businesses to manage payments with digital accounts, supporting a range of payment services that are accessible via a powerful API (application programming interface). In 2018, Fire became the first Irish-based payments firm to be authorised as a Payment Initiation Service Provider (PISP). This means it is able to provide new services under the EU’s second payment services directive (PSD2) rules, which force banks to open up their technology platforms to third parties. For example, dynamic currency conversion (DCC), the user-friendly, point-of-purchase service, which allows international card users to choose to pay in their home currency rather than the currency of the country in which they are making their purchase, originated in Ireland. Irish companies Fexco and Monex were early adopters of this paytech solution, and have become global leaders in the sector. These Irish companies continue to develop new innovative paytech projects around the world in this space. WorldnetTPS helps EMV (Europay, MasterCard and Visa) companies around the world to ensure merchant terminals are compliant and up-to-date with both chip and pin and contactless payments. Ireland has a number of paytech companies that are providing solutions in the international payments space. These include Currency Fair, an online peer-to-peer currency exchange marketplace, and TransferMate, a time- and cost-effective global B2B payments solution. The whole area of cross-border payments is undergoing significant global transformation and Irish companies such as these are providing market leading solutions in the area. Sysnet Global Solutions has a suite of cyber security and compliance solutions that help businesses to improve security in card payments and acquiring organisations to monitor exposure and reduce the risk of payment card details being stolen. One of the key developments in the payments area arising from PSD2 is an increasing need to authenticate payment transactions. Solutions that use the biometric capabilities of the smartphone to confirm the identity of the purchaser and thereby process the transaction are due to become much more common. Dublin-based TouchTech Payments specialises in online authentification for financial institutions. It provides compliant solutions that can be used to authenticate anything from online payments to loan agreements to banking logins. All of its products are certified to industry standards and meet all existing regulatory standards, including PSD2 and its recently published Regulatory Technical Standards. Biometric Strong Customer Authentication solutions leverage smart phone technology to ensure bank customers can easily access all the features of their online banking without hard-to-remember usernames and codes, thus increasing access rates to the services offered by online banking and mobile payments. Daon has developed technology that will ultimately replace usernames and passwords as a means to authenticate. Its universal platform allows users to authenticate themselves on any mobile device just by taking a selfie. It is adaptable to allow clients, and their customers, to pick and choose the biometric they’d like to use, including but not limited to facial recognition, voice recognition, and fingerprint ID. 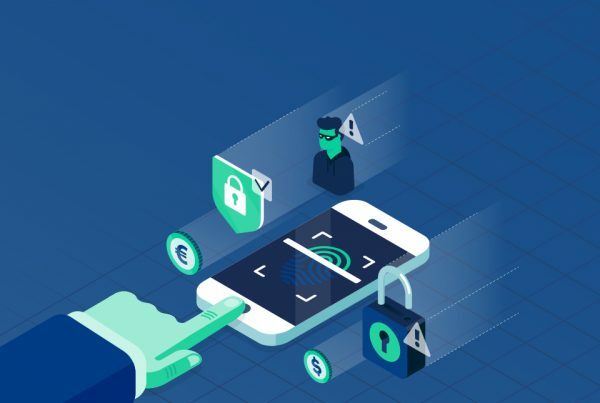 All of these factors can be used individually or fused together in a multi-factor approach, delivering the desired level of assurance based on the risk of individual transactions and facilitating rapid, safe and secure payment authentication. Sentenial is a leading provider of European payment solutions, whose next generation cloud payments platform securely processes over €42 billion a year as an outsourced provider to many of the world’s leading banks. One of its newest innovations, Nuapay, is a pioneer of open banking and the industry’s leading account to account payment environment, helping to reinvent what’s possible from a modern banking and payment solution. Irish companies are also providing innovative payment solutions to the unbanked and underbanked. PiPiT Global has devised a secure and private online payment platform that helps customers spend cash digitally. In particular, it allows migrants living and working around the world, who may not have full access to banking facilities, to send money and pay bills internationally, at low cost and in a secure way. It uses bar codes or QR codes that can be taken to collection networks such as post offices to connect the cash payment to the associated bill or account in their home country. Irish company AID:Tech enables entitlements such as aid, welfare and donations to be digitised, delivered and tracked using blockchain technology, including the distribution of international aid to refugee camps. This solution enables, for the first time, the ability to track a payment from the donation to the recipient. Right now the possibilities in paytech look limitless. The question is who will harness this potential first and how. Irish paytech companies are leading the way. “These are just some of the Irish companies that have developed interesting paytech products, which they are already selling overseas around the world,” says McCormack. It means that for anyone looking to navigate the world’s newly-disrupted payments ecosystem, there is no better guide than one of Ireland’s paytech innovators. To find out more download your copy of Paytech: Reinventing Transactions and follow www.IrishAdvantage.com/fintech. Mo Harvey, Financial Services and Fintech Lead (Asia Pacific) with Enterprise Ireland, describes the view on the sector from Hong Kong. In Asia Pacific, Ireland’s tech sector is being mentioned in the same breath as Israel – a seismic shift in awareness. On the global fintech stage, it is known that Ireland punches above its weight. In a few short years, the country has become the fourth-largest exporter of financial services in the world – a remarkable statistic for a country of just five million people. How has this come about? In the first place, fintech has been singled out as a national priority with a wide range of government and state supports in place to drive growth in financial services. This has attracted many of the world’s leading players. Barclays, Bank of America Merrill Lynch and other behemoths now call Dublin home, and others are following – peer-to-peer payments platform Circle opened its new HQ in the city just last year – while almost all the world’s top tech firms already have locations in Ireland. Enterprise Ireland, the trade and innovation agency, also plays a vital role – now the second most prolific fintech investor in the world (behind California-based Y Combinator). To support fintech partnerships in the Asia Pacific region, Enterprise Ireland has offices in Hong Kong, Shanghai, Beijing, Singapore, Tokyo, Seoul, and Sydney. Irish fintech excellence was a recurring theme at Hong Kong FinTech Week – the first international cross-border fintech event bridging Hong Kong (Asia’s financial capital) and Shenzhen (Asia’s Silicon Valley) – as well as at Singapore FinTech Festival, the world’s largest fintech event. A total of 14 fintech providers made the trip from Ireland to Hong Kong FinTech Week, while nine Irish firms exhibited in Singapore, one of which – Corlytics – was a finalist in the Monetary Authority of Singapore RegTech competition. The Irish contingent included Fineos (insurtech), Currencyfair (P2P FX currency payments), Solgari (cloud comms), Assure Hedge (FX tech), Global Shares (share plans), CR2 (banking software), Rockall Technologies (wealth and banking tech) as well as Irish regtech providers such as Know Your Customer, Corlytics, Daon, Circit, Kyckr, Priviti, and Fenergo. The two fintech events were awash with positivity, reflecting the sector’s rapid growth and myriad opportunities. What are those opportunities? Some of the juiciest are in blockchain, virtual banking, and wealth management. Ping An Insurance delivered Hong Kong’s first blockchain-based international trade finance platform, eTradeConnect. This trailblazing platform allows financial institutions to potentially access real-time, secure and comprehensive trade information to conduct risk assessment on loans. The hope is that this will lead to yet more opportunities as similar processes become more efficient, potentially reducing financial costs for companies by digitalizing trade documents in loan applications. The Belt and Road Initiative will cover 62% of the world’s population, representing the biggest deployment of financial technology in human history. The mind-boggling scale of this project will present opportunities for the next 25 years or more, especially in cryptocurrencies, payments and remittances, and wealthtech. The Greater Bay Area will play a key role in the project, comprising 11 cities with a population of nearly 67 million people, all within a three-hour train-ride of Hong Kong. Some people already call Shenzhen the ‘Silicon Valley of China’ – well, imagine placing the real Silicon Valley next to New York City. That’s what the GBA is. The global obsession with cryptocurrencies may have cooled somewhat but Hong Kong remains a hotbed of activity, having raised €223 million in proceeds across 20 closed ICOs, with 15 or more still in the pipeline as of last June. Hong Kong is seen as one of the world’s premier trading regions, whose government has announced that it will recognise digital assets as a security. The key drivers of change in banking in Asia are consumer attitudes, technology, competition and regulation. Some traditional banks are becoming more like digital banks, that is – doing away with buildings and people, and aiming to create customer loyalty through localization. In ASEAN, some 60% of the population is below 35 years old, which translates to 400 million customers. By 2017, just under half of the population had a smartphone and the figure is expected to increase to 65% by the end of 2018. Digital banking has improved accessibility in rural areas, urbanised the banking experience and created a lifestyle change. Localization is the future trend of the payments industry, along with collaboration – especially the kind of cross-border collaboration that would encourage more players into the industry, thereby generating diversity. As the fintech sector continues to surge in Asia-Pacific, Irish innovation is making a big contribution. Those interested in finding out more can contact Enterprise Ireland – we’d be happy to help. Irish company PiP iT is working to make it easier and cheaper for migrants to take care of bills in their home countries. With many people choosing card payments over cash, apps and even cryptocurrency options, some might question if cash is still king. But when you remember that a third of the world’s population do not have a bank account, it becomes clear that cash remains crucial, although the ways it is used have changed. While many fintechs focus on apps, Bitcoin and blockchain, PiP iT has launched in the cash market, with an important social mission of boosting financial inclusion throughout the world. Its aim is simple – to enable migrants to pay bills in their home countries easily and cheaply, without the large fees charged by money transfer companies, or the risk that money may be spent on something other than the bill to be paid. PiP iT was formed about five years ago, as a solution that addressed growing concerns about internet security, as well as risks commonly associated with using credit cards online. “Initially, it was a play around payments and internet security,” explains PiP iT CEO, Ollie Walsh. PiP iT took the concept to the Web Summit, where it attracted a lot of attention and subsequent investment, but it was funding provided made by a UK social investor, The Key Fund, and participation in start-up accelerator Dotforge Impact that inspired a new use for the technology, Ollie explains. Ollie and his fellow PiP iT founders, COO Julian Callaghan and CTO Rory Ryan, took inspiration from the experience to offer migrants a better alternative to the traditional money transfer services that tend to be used instead of a bank account. “Migrants are using money transfer services to send cash home, which from the UK to any part of West Africa costs about 10%,” says Ollie. “This is a huge fee – the average transfer is £200, so 10% of that is £20 – £20 in Lagos goes very far. We’re about 80% cheaper than money transfer companies. We benchmark our payments against money transfer services, and with 100,000 Ghanians in the UK, we know we have saved them around £30,000 in fees in the last year. PiP iT is currently operating in many countries throughout the world. “There are two ends to our operation – one is where we need payment partners – this is where people are emigrating from,” says Ollie. Finding a way to conduct seamless, safe, secure monetary transactions in this new near-borderless landscape has become a priority. Today, it has become commonplace to make online payments – cardless transactions with funds moved between countries and regions through blockchain and e-wallet technology. From settling invoices to paying for streaming services or online gaming, fintech has moved to meet the needs of its users. In Ireland, already a leading player in the fintech space, a venture that had its origins in the online world of gaming and betting has not only transformed itself from a behind-the-scenes end-to-end fintech operation but is using its technology to unlock the lucrative markets of China and Africa. Its platform, already connected to all major global banks, processors and card schemes, is designed to execute international transactions at a lower cost than competitors. Since CEO Paul Kavanagh took over in 2017 through an MBO, the firm has placed itself at the forefront of the e-wallet and card payment market, creating product verticals in foreign exchange, insurance, travel and gaming. Kavanagh’s vision is simple. He views the current digital payment landscape as a place for the nimble and intends to increase MiFinity’s value to €100 million within the next two years. “Banks are going to be the dinosaurs in this digital age,” he says. The disruption to the global payments system is only just evolving, he adds. MiFinity rebranded in 2016 as a back-end payments solutions provider to the gaming industry and now has strategic partnerships with major UK and global banks, TAS, SIA and Bitload4U, with a client list that includes household names such as Booking.com. “It’s a significant revenue opportunity for MiFinity. This license will open up new market segments whilst adding a new product vertical to the MiFinity payment platform,” says Kavanagh. Moving into the B2C space in overseas markets is clearly in keeping with Kavanagh’s own vision of a global borderless payments market. He says: “We believe that the payments landscape is really global. When you look at the various countries that are stressing the movement to digital, India is one example. The government has taken a decision to be “e-commerce focused” for many reasons, ranging from safety to tax collection. Other countries, such as China and Africa, are looking at how to move to an e-commerce protocol from what historically been a cash driven economy. 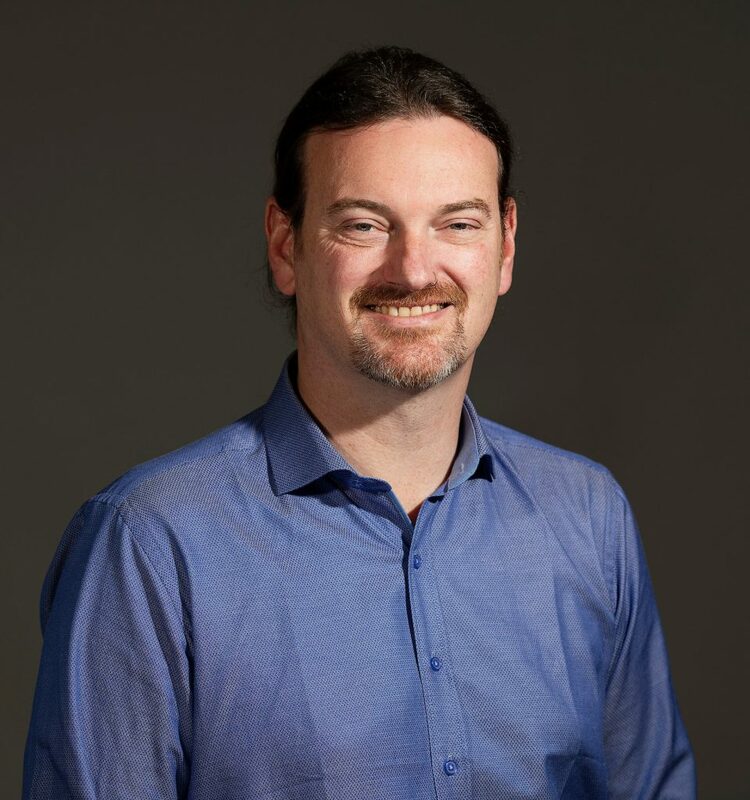 MiFinity is, of course, not the only player in this market, and some its rivals are also Irish, but Kavanagh believes they have the innovative know-how to keep pace. “I think when you look at the utility and versatility of our mobile application (eWallet), you can see some of our game changing expertise. Global control of your money right from the mobile device. We believe that banking will take on a new meaning over the next few years. “Legacy banks will have to adjust to this new way of thinking, which is that clients are moving to their mobile phone as their payment platform. Banks will soon be virtual. Look at Revolut for example, a major success with technology and providing a mobile banking solution. In an age of continuous disruption, how will MiFinity remain on its growth curve? Continual self-evaluation, according to Kavanagh. “What gets measured gets done. And what gets measured gets better,” he adds. The global fintech sector is growing rapidly, thanks to increasing consumer demand for alternatives to cash payments and the traditional bank. 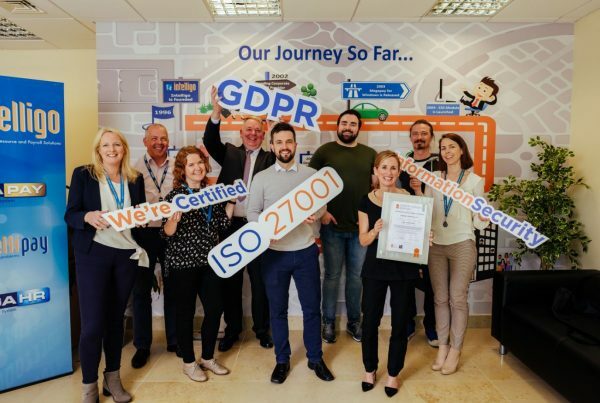 One of the leaders in the sector is Irish success story Prepaid Financial Services Ltd (PFS), whose award-winning solutions include e-wallets, physical and virtual prepaid cards, and IBAN accounts in the UK and across the Eurozone. PFS was founded by Irish innovator Noel Moran ten years ago from a base in London as a bank challenger, an alternative to traditional banks. The company now employs over 162 people (“a significant milestone,” says Noel) between its offices in Malta, London and Wilmslow in the UK, and Navan in Ireland. “We started off selling a corporate card to a target audience of small to medium-sized corporates, maybe companies that required a card for travelling or expenses, or for rewarding customers. We would effectively give them a prepaid Mastercard, which would work like all other debit and credit cards,” explains Noel, who is currently the company’s Chief Executive Officer. With opportunity comes competitors but PFS continues to lead the way. PFS is a fintech leader in Europe, with an eye on the future. One significant milestone for the company was securing the Spanish post office as a client, Correos, therefore servicing hundreds of thousands of Correos Prepaid Mastercard customers. Not surprisingly, both Noel and PFS have been recognised for their significant achievements, and as trailblazers in the fintech industry. Noel was subsequently showcased to the attendees of Davos 2019, an exclusive invitation-only World Economic Forum meeting. While PFS is an established leader within Europe, the company has bigger ambitions globally.